He took off his shoes, his jacket, loosened his collar, opened his front-room windows. Warm currents of air with the slightly contaminated odor of the harbour lifted his shabby curtains and the window shade. This flow of air calmed him slightly. No, the good of his heart evidently didn’t count for much, for here, at the age of forty-seven, he was coming home after a night out with a lip made sore by biting and kissing, his problems as unsolved as ever, and what else did he have to show for himself at the bar of judgement? He had had two wives; there were two children; he had once been a scholar, and in the closet his old valise was swelled like a scaly crocodile with his uncompleted manuscript. While he delayed, others came up with the same ideas. Two years ago a Berkeley professor named Mermelstein had scooped him, confounding, overwhelming, stunning everyone in the field, as Herzog had meant to do. Mermelstein was a clever man, and an excellent scholar. At least he must be free from personal drama and able to give the world an example of order, thus deserving a place in the human community. 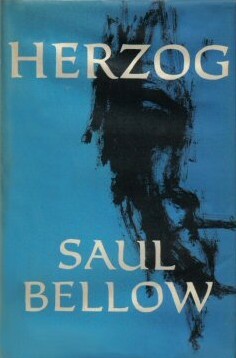 But he, Herzog, had committed a sin of some kind against his own heart, while in pursuit of a grand synthesis.